KUALA LUMPUR, MALAYSIA - MARCH 30: Time-lapse view of visitors pass by at a temple in the Batu Caves on March 30, 2016 in Kuala Lumpur, Malaysia. 4k00:09KUALA LUMPUR, MALAYSIA - MARCH 30: Time-lapse view of visitors pass by at a temple in the Batu Caves on March 30, 2016 in Kuala Lumpur, Malaysia. hd00:34KUALA LUMPUR, MALAYSIA - MARCH 30, 2016: View of visitors pass by at a temple in the Batu Caves on March 30, 2016 in Kuala Lumpur, Malaysia. 4k00:09Kuala Lumpur, Malaysia -March 2016: Temple in Batu Caves in Kuala Lumpur, Malaysia. 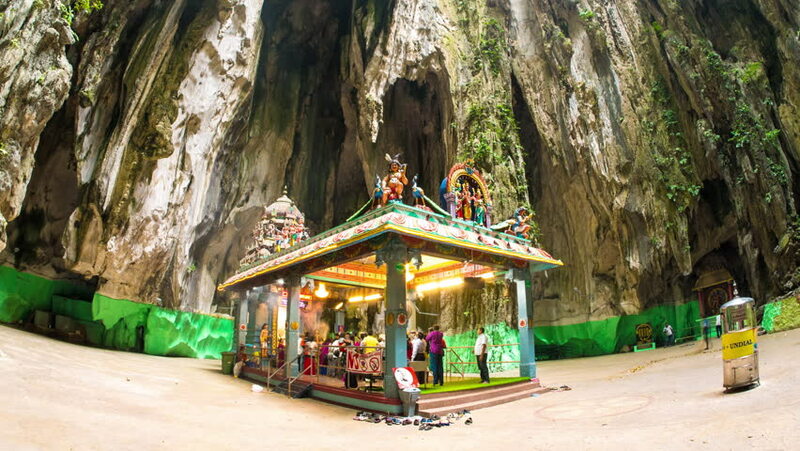 Batu Caves is a limestone hill, which has a number of caves and temples in it, built by Hindu devotees.